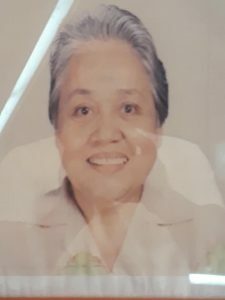 Our teacher at St. Theresa’s Col­lege San Marceli­no, Sis­ter Con­sue­lo Varela passed away recent­ly. She was a big part of my life. She was from Cebu, like me. 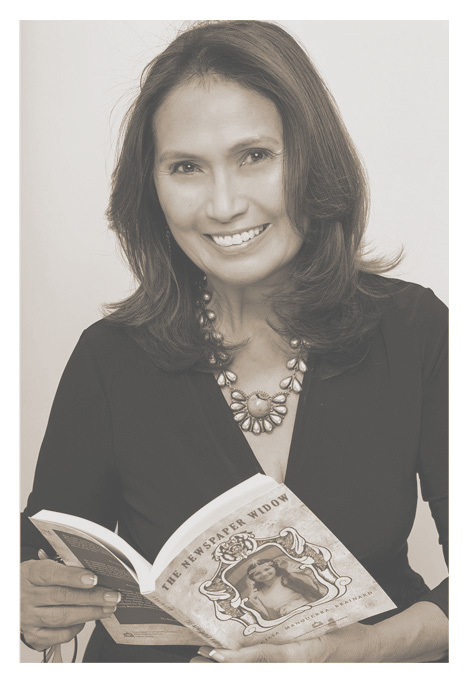 When I trans­ferred from STC Cebu to Mani­la for High school, I felt out of place and lost. She was our teacher then, and she acknowl­edged my being Cebua­na, men­tioned know­ing my fam­i­ly to me, which lift­ed my spir­its up. Sis­ter Con­sue­lo was strict in the begin­ning but loos­ened up when she knew the class. She was an excel­lent Lit­er­a­ture teacher. She taught us Shake­speare in a cre­ative way. Hav­ing those dra­ma plays in class made us mem­o­rize some lines in Shake­speare, and instilled an appre­ci­a­tion for Mac­Beth, Romeo and Juli­et, and King Lear, that I nev­er would have acquired if I were told to just read the plays. I remem­ber once a friend and I were stand­ing in line to go to the audi­to­ri­um or some­place. We were bored and we walked a short dis­tance to where a gut­ter end­ed and peered down into the ground. Sis­ter, who was mak­ing sure we all stood in a straight line, came over,and asked what we were star­ing at. She looked down at the earth too. See­ing noth­ing, she told us, “Get back in line” — but mat­ter-of-fact­ly. 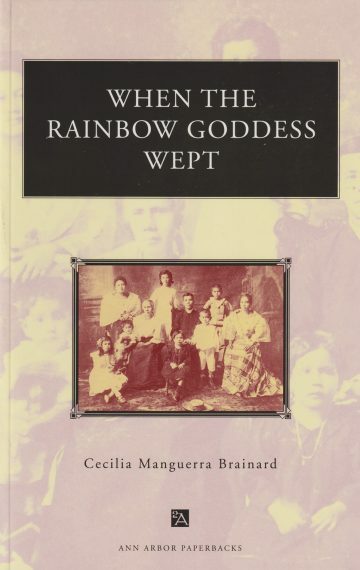 I remem­bered that inci­dent because she didn’t just get angry at the two of us for step­ping out of the line, but actu­al­ly hon­ored our curios­i­ty. Sis­ter went on to become an activist and became even soft­er to us. By then, the style of teach­ing had changed. She became our friend. I owe her a lot and will miss her. May she rest in peace. 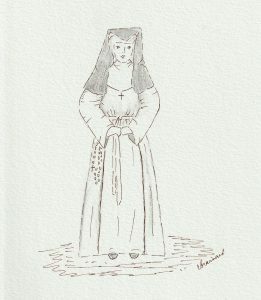 This is not Sis­ter Consuelo’s image, but this is a pen and ink and pen­cil draw­ing of a St. Theresa’s Col­lege nun when they wore the long habits. I am a daugh­ter of the Philip­pines and an adopt­ed daugh­ter of Amer­i­ca. I have also trav­eled to many places so I am also a daugh­ter of the Earth. My expe­ri­ences have found their way into my sto­ries, which try to depict char­ac­ters caught in impor­tant moments in their lives, sit­u­a­tions that force them to act, make deci­sions, change. I try to see the world from my own point of view, not the dom­i­nant West­ern one, thus my inter­est in his­to­ry, cul­ture, and set­ting. But my char­ac­ters car­ry my sto­ries; they are the most impor­tant in my sto­ry-telling. I have to dive deep into them to under­stand their human­i­ty – their good­ness as well as their bad­ness, their beau­ty as well as their ugli­ness. Just like us. Just like each of us. I need to know where they came from, where they are now, so I under­stand where they are going. Just like us. Notre Dame Fire: Desole France!